There have been numerous, highly publicized episodes of corruption at all levels of government that raise serious questions about public service ethics. The number of cases involving corruption has many people wondering if public servants can be trusted. Public servants have the responsibility to uphold the public’s trust in everything they do. When a public servant breaches that trust by committing a deceitful or illegal act, it can lead to wasted resources and reputational damage. During my graduate studies, my ethics professor defined corruption as the misuse of power by government officials for private gain. It is a dishonest or illegal behavior that destroys people’s trust. 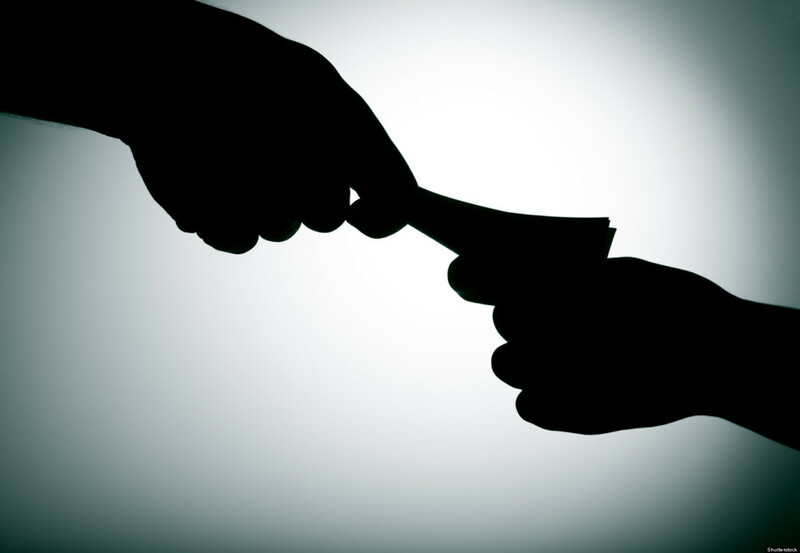 Most people equate corruption with bribery. However, there are other forms of corruption such as kickbacks, extortion, mail and wire fraud, money laundering, embezzlement, among others. These activities have something in common: personal enrichment and private gain. When a public official is accused or convicted of corruption, the consequences include removal from office, impeachment, prison time and fines. Corruption is a serious crime, and when these crimes are brought to light, it tarnishes the reputation of public servants. Regardless of who committed the crime (elected, appointed, uniformed service or civilian employee), the harm done is the erosion of public trust in government. The fabric of government is tainted, resulting in society’s increasingly pessimistic view of public servants as a whole. Unfortunately that view is reinforced each time the media covers yet another story of a disgraced and corrupt official. As reported earlier this month, a former Virginia governor was convicted of public corruption charges for accepting bribes and was sentenced to two years in prison. And who remembers former Illinois Governor, Rod Blagojevich, who tried to sell or trade President Obama’s old Senate seat? Blagojevich was the first Illinois governor to be impeached and involuntarily removed from office. He was convicted of numerous corruption charges and was sentenced to 14 years in prison in 2011. Blagojevich’s predecessor, former Illinois Governor George Ryan, was also found guilty of public corruption and was sentenced to six years in prison. Illinois governors are infamous for corruption charges. In fact, four of the previous seven Illinois governors have ended up going to prison. Then there was the shocking story of how thousands of children in Pennsylvania were jailed by two corrupt judges who received $2.6 million in kickbacks from the builders and owners of private prison facilities. The scandal, dubbed as “Kids for Cash,” sent thousands of children to juvenile detention facilities for minor infractions in exchange for kickbacks. It was an abuse of power, and the two judges were eventually tried and sentenced to long prison terms in 2011. The first judge, Mark Ciavarella Jr, was sentenced to 28 years in prison. The second judge, Michael Conahan, was sentenced to 17.5 years in prison. In 2013, the “Kids for Cash” scandal was featured as a documentary film. These corrupt officials, and many others, betrayed the trust and faith that the general public placed in them, feeding public frustration, cynicism and disengagement among citizens. The public has the right to expect that their leaders will honor the oath they swore to. Instead, these corrupt officials deprived the public of honest service. They used their positions to pursue illegal and unethical schemes motivated by power and greed. Although there are millions of government employees who are ethical and hardworking, one scandalous act negatively impacts the entire government workforce. Corruption demoralizes and unfairly stigmatizes the dedicated work of honest public servants. So how can government rehabilitate its reputation to win back the public’s trust and confidence in light of these scandals? How can public virtue be restored? Should ethics training be taken more frequently than the recommended annual training? Should the government offer hefty rewards to whistleblowers to encourage more reports of inappropriate and unethical activities? It is unlikely that we will see an end to corruption scandals. We don’t live in a perfect world. Humans have flaws and have failed in judgment time and time again. Ending corruption is like finding a cure for cancer. Corruption is the cancer in government in which we have no cure. But if it’s detected in time, it won’t spread its malignancy throughout all of the segments of government. Is it wrong to think that a total cure for corruption is not a realistic goal? This question is like asking every single public servant to uphold the highest ethical standards. Yet, no one person is alike. Ethical decisions are made individually, based on a person’s integrity, character, values and beliefs. Collectively, public servants have the duty to be open, fair, honest and impartial in their dealings with society. Public servants are expected to use their office to further the public interest and not to enrich themselves or others. The public good should take priority in all circumstances, not personal self-interest. After all, public service is about duty and responsibility, not a personal benefit or right. That is the true essence of public service. Unfortunately the ethical challenge of corruption is here to stay. However, our greatest defense is to show the public that such acts of deceit and fraud will not go unpunished.